Pre-roll ads bring your prospects back. The average consumer will interact with your brand several times before conversion. An effective way to bring site abandoners back and recoup otherwise lost investment in traffic is with retargeted ads designed to re-engage abandoners based on their previous behavior on your website.Online brands can now take retargeted advertising a step further by presenting abandoners with video pre-roll ads that are personalized based on shopping history, present relevant products and current deals most appropriate to visitors’ browsing behavior. Retargeted pre-roll ads (see Office Depot example below) outperform traditional retargeted banner ads with higher conversion rates and often with above-average order value, leading to a significant return on ad spend. 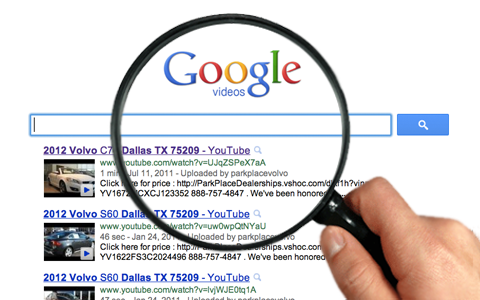 Online video can be an effective customer service tool. A company’s ability to retain customers strongly depends on the way it services them from the point of first contact and throughout the customer’s lifetime with the brand. Online video is another tool brands can use to deliver the best possible service experience. 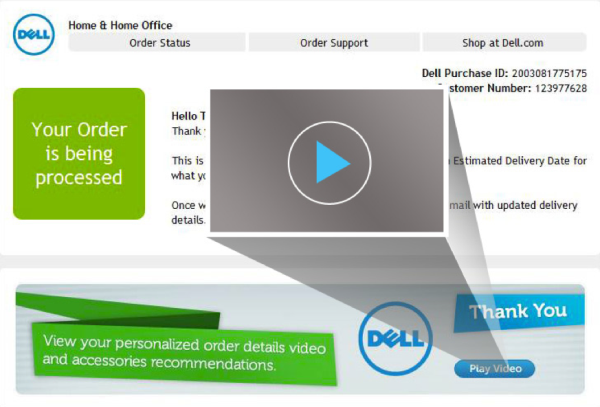 Use video to onboard new customers with in-depth product demonstrations, provide order and provisioning status (see Dell example below), or deliver complex bills, statements and invoices with an easily digestible explanation of usage and fees. Companies that have done this have customers who make more informed repeat purchases and less calls to the contact center, resulting in fewer product returns, decreased merchandising and support costs, greater trust and credibility, and generally higher customer satisfaction. Online video makes for more impactful nurturing campaigns. The effectiveness of best customer nurturing practices, including email campaigns, newsletters, loyalty programs and customer portals, is often enhanced with personalization features to engage the customer with offerings that resonate based on his profile, shopping history and browsing trail. Implementing personalized videos based on individual shopping history can significantly enhance efforts to nurture, upsell and retain existing customers. The open rate for video newsletters, for example, is two to three times higher than for text. 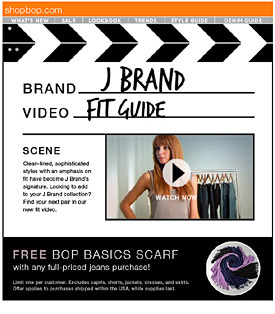 Personalized video newsletters can include a greeting with the recipient’s name, as well as display promotional offerings based on browsing history, geography or preference segmentation.